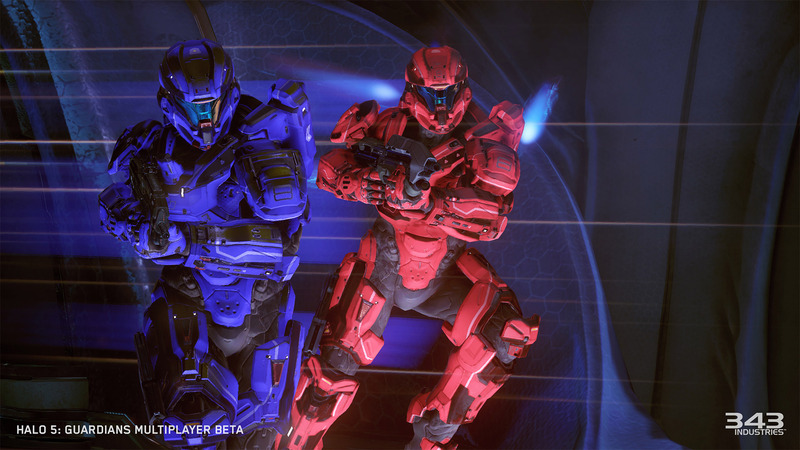 Late last year, we gave you a first look at the future of Halo multiplayer with the release of the Halo 5: Guardians Multiplayer Beta. This was a huge endeavor for everyone on the Halo 5: Guardians team and one that we approached with nervous excitement. After all, this was the earliest that we have ever released a beta for a Halo game, coming almost a year before release. Putting a work-in-progress game out in the wild this early was a leap of faith, and something new for our studio. How would fans react? What results would we find? In the past, betas for games on console have typically been used for online scale testing in the weeks prior to a game’s launch. In our case, we provided a true ‘working’ beta that was a snapshot of our game in development. 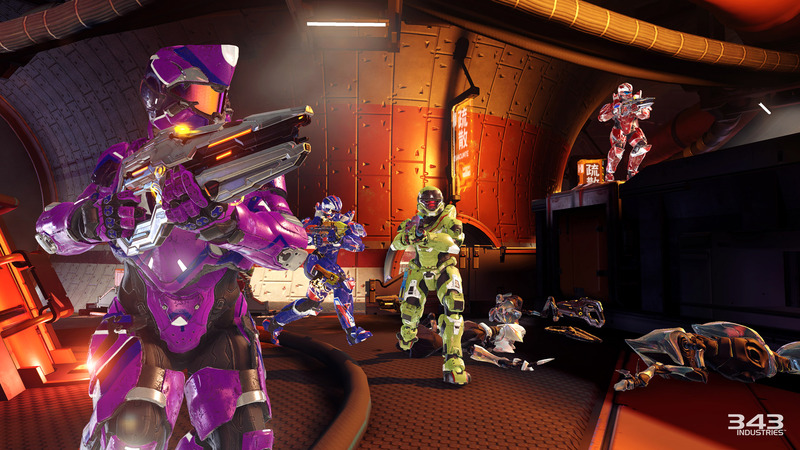 Halo 5: Guardians represents one of the most substantial evolutions of core combat in franchise history. We felt it was crucial to get it in the hands of fans early to ensure we have enough development time to react to key learnings and deliver the best possible game when we release later this year. This represented a shift for us as a team and a studio by sharing the development process with our community and having you help shape the game. The level of engagement and response from our community shattered all of our expectations. Over the course of the three week beta we saw nearly 20 million games played, accounting for 290 years of collective game time. Throughout the beta we monitored feedback channels including web forums, reddit, Twitter and Facebook. From these sources we tracked literally thousands of pieces of detailed feedback. To coincide with the beta, we also launched the Halo Community Feedback Program (HCFP) to directly engage with the most passionate and experienced members of our fan base. Over 19,000 of you have already signed up for the HCFP, with the average amount of Halo played per HCFP participant clocking in at over 900 hours (that’s more than 37 days of Halo playtime per participant!). 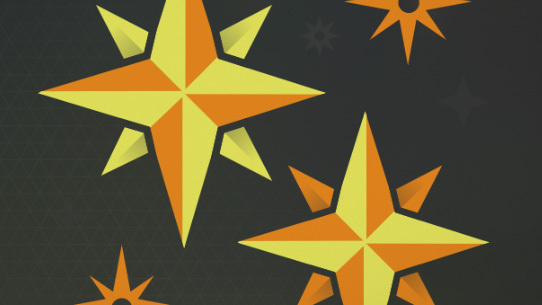 So far, we have conducted two surveys and we plan to continue expanding this program as we see it as an important tool to help shape our game for launch and beyond. The team has spent the past few weeks poring over player feedback from the aforementioned sources. From this we have developed an extensive list of improvements for the game. What follows is a short summary of items that we are addressing for launch. Some of these improvements were already in development and didn’t make it in time for the beta. The majority of changes address issues that surfaced during the beta and relate to feedback coming directly from the community. It’s important to point out that there will be a massive list of additional improvements and bug fixes that are not captured here, as we hosted this beta almost a year from release. For Halo 5: Guardians we’ve developed a consistent suite of abilities that are available to all players on the battleground. These abilities give Spartans increased mobility in combat and open up new gameplay possibilities. Throughout the beta we saw fantastic response from fans as they put them through their paces. One of my favorite moments was watching legendary pro Halo player Dave “Walshy” Walsh as he streamed a game of Slayer. Walshy came up behind an unsuspecting enemy and just as he was about to strike for the assassination, his opponent jumped up, using his Thrusters to propel himself back over Dave’s head and take him out with an assassination of his own. The stunned look on Walshy’s face was priceless. In the ViDoc that introduced the new Spartan Abilities before the beta went live, I touched on the fact that a portion of the Halo community strongly prefers to play without sprint. The results from the HCFP surveys showed that nearly 11% of HCFP participants felt that Halo should not have sprint. It is important that we continue to evolve Halo multiplayer while ensuring that legacy Halo players feel right at home. As a result, I’m happy to say that we will provide toggles in custom games so that sprint and the other Spartan Abilities can be turned off. By putting these tools in the hands of players we will give them the ability to play the game their way, enabling them to create a more traditional style of Halo if they prefer. At the core of any first-person shooter is gunplay. For Halo, the experience of aiming and firing weapons is king and we put a lot of effort into making sure that it feels great. We want the player to feel connected to each weapon, so that it feels like a natural extension of the player. We want the right amount of feedback to sell the sensation of firing the weapon. And of course we want all of the weapons to be balanced against one another so that each one is effective within its own encounter range without a single weapon becoming dominant. With the introduction of our new Smart-Link aiming system we’ve given all weapons the ability to zoom. This new system creates a more natural feel and reinforces the connection between Spartans and their weapons. The advantages of a zoomed weapon are balanced by the ability to de-scope and force your opponent out of zoom if you land your shots first. Our goal is to balance all weapons to be equally effective both in and out of zoom while continuing to respect the function of each mode. Our newest weapon, the Hydra, received a mixed response from fans. Hard to use at first, it took some time for players to realize how effective the Hydra is at curving shots around cover at range from within the new Smart-Link system. Once it clicked, people began mopping up, but many players still felt that the weapon didn’t have enough utility in general combat. We’ll be buffing the weapon to make it more effective out of zoom and ensure that it feels like a true power weapon. The arena multiplayer experience was designed with a competitive theme. We imagined this to be a place where Spartans would train against one another in preparation for upcoming battles. As such there would be a certain amount of comradery, gamesmanship and fanfare involved. We approached match presentation as though these showdowns might be broadcast within the UNSC to other enlisted military watching intently as the Spartans trained. Each match includes an intro and a victory sequence. These are meant to reinforce your identity within your team, to show important locations within each map prior to battle and to celebrate the winners of the match. 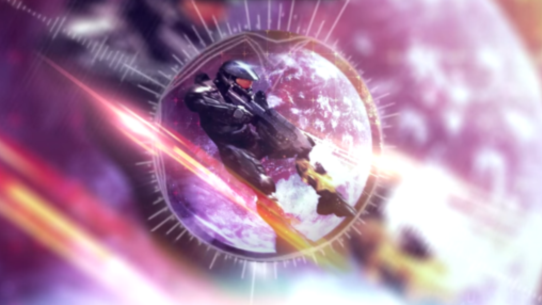 Despite the fact that the intro and victory sequences in particular seemed to be universally loved by Halo bros, we weren’t 100 percent satisfied with the tone of these moments in the game. Expect the final sequences to feature considerably fewer chest bumps and high fives. 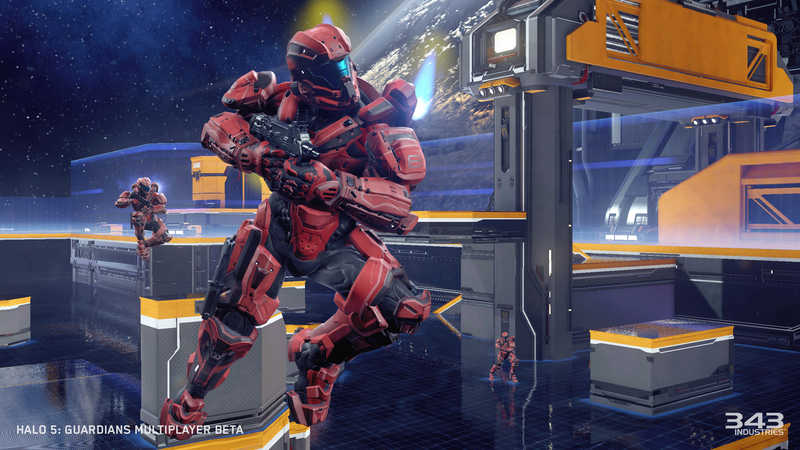 Halo 5: Guardians features a brand new seven-tier competitive skill rating system. We put an early version of this system through its paces in the beta and uncovered a number of bugs that are being addressed. Probably the most common question that we heard about CSR was regarding recognition of individual performance. The system is designed to reflect wins and losses at the team level. Individual performance is not taken into account when calculating bonuses/penalties to CSR; it’s all about team. The one exception is during the initial placement process when the system is solving on individual skill. The biggest complaint we heard was in the case of a losing team member that significantly outperformed the other members of their team. Many players felt that in this case the penalty for losing should be reduced. Philosophically we believe that in a team sport the only thing that should matter is wins and losses. We also believe that incentivizing players to prioritize their own individual stats in a team game can undermine team play. A player’s Kill/Death Ratio (the stat that tends to be focused on in these discussions) is not always a reliable indicator of impact on team success. A player may have inflated kills from finishing off enemies that their teammates have damaged, or may have pursued kills at the expense of positioning and map control. The simplest and best way to assess performance within a team sport, is the team’s success. Bonuses and penalties are based on the relative strength of the teams at play. Teams are assessed on their collective skill at the beginning of the match. You gain more by winning against a team that is considered to be stronger than your own. Likewise, losing to a more skilled team will result in a lesser penalty to your CSR. These gains and losses are further modified by a player’s individual CSR relative to the teams at play. So for example, a lower tier player gains more from a win than someone at a higher CSR tier. We will continue refining these bonuses & penalties to reflect the difficulty of each match. One of the challenges with matchmaking for a competitive Halo experience is the need to find matches of appropriate skill (due to the skill gap between players) and ensure that matches don’t start unbalanced. These priorities are weighed against matchmaking speed. If you loosen the skill requirements and allow games to start with less players (backfilling live with join-in-progress) it makes the process much faster, but it does so at the expense of fairness. We need to balance these factors carefully and for beta we weren’t satisfied with the balance that we achieved. With the Halo 5: Guardians Multiplayer Beta being held so early in development, there is a laundry list of other bug fixes and improvements that we are tracking as a team. Far too many to document here. Everything from weapon placements on maps, to lighting improvements, to rule tweaks in game modes and modifications to the motion tracker to encourage more movement at higher levels of play. Our team constantly looks for ways to improve the game and we’ll continue to do so until launch later this year and beyond. Looking back, this beta has been an amazing gift for us. The feedback we have received from all of you has been invaluable in helping us to improve our game. 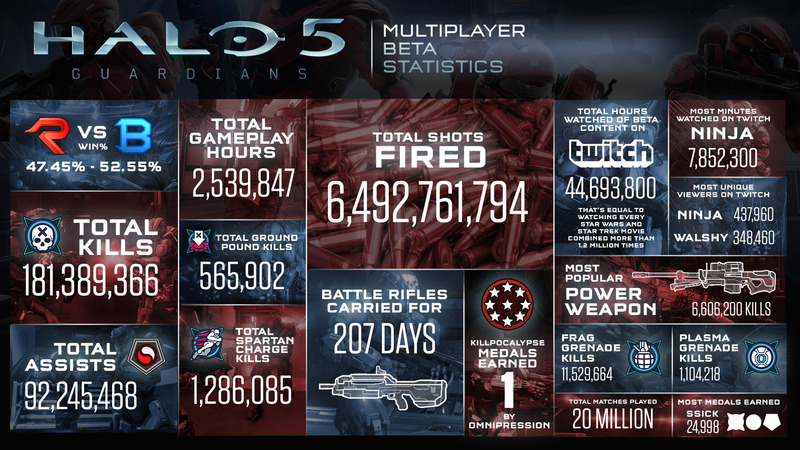 On behalf of the entire Halo 5: Guardians team, we thank you for your support. We absolutely couldn’t do this without you. I hope you enjoyed your first glimpse into the future of Halo multiplayer and look forward to sharing more with you in the months ahead. From Ultimate Halo: We at Ultimate Halo have made this song inspired by HUNTtheTRUTH and Halo 5 Guardians. We're all massive fans of the series and now season one is over I wanted to make something to honour it. Last month we learned about a community member's tragic loss. Adam (aka crazedSpartan) and his wife Rebecca lost their daughters Trinity and Lena when their lives were claimed by an electrical fire in their family home. As a father, I can only imagine the heartache and pain Caused by this loss. In the days following the tragedy, it was inspiring to see the Halo community come together to support Adam and Rebecca in a variety of ways.